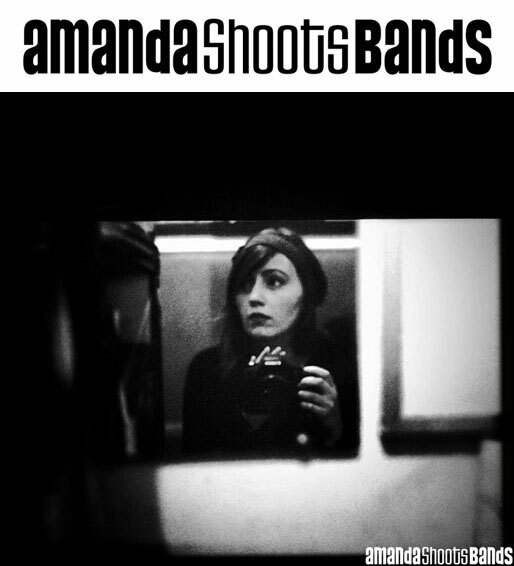 Amanda Ratcliffe, AKA amandashootsbands always had a thing for photography, but it wasn’t until a trip to New York in 2006, that she decided to mix that passion with music. On arriving back in New Zealand, the first concert Ms. Shootsbands attended with her Olympus Mju II was The Living End… a favorite band that she would watch from the crowd, occasionally sneaking in a shot or two. 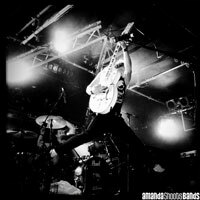 The grand finale came; lead singer Chris Cheney jumped off the drum kit with his legs apart, and guitar positioned just so; Shootsbands captured it, and from that moment the 23 year old was certain that she belonged in the pit with the other ‘real’ photographers. Since then, Amanda has become a writer, radio host, and most importantly to her, an increasingly well-known photographer, shooting many respected NZ and international artists. Her work has featured in magazines and websites in New Zealand and overseas, and recently landed her a spot on a panel discussion as part of the US-born exhibition - Who Shot Rock & Roll at the Auckland Art Gallery. It’s this kind of thing that Amanda really enjoys – seeing bands finally get the recognition that they deserve after years of hard work and dedication. 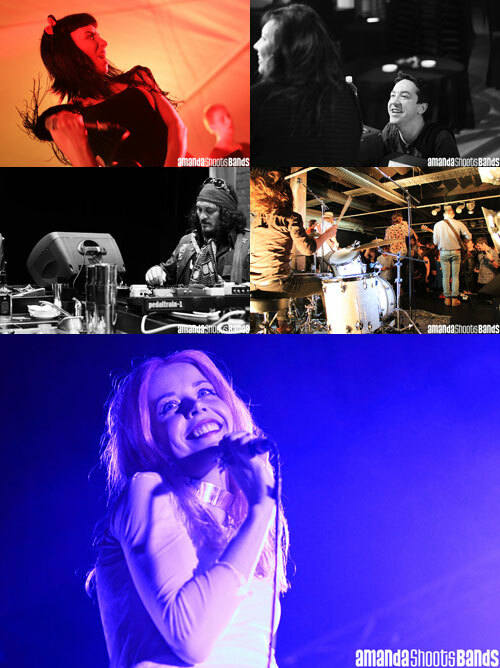 This attitude most likley comes from a similar experience that she has been through herself with music photography. Amanda didn’t become a writer for the hell of it, nor did she become a radio host for the fun of it. These were both necessary when starting out seven years ago – the writing to go along-side images, and the radio to gain more recognition from musicians. While she is the first to admit that it has been a lot of hard work, this little lady can’t imagine living any other way, and will be forever grateful for New York, and Chris Cheney for making things click. 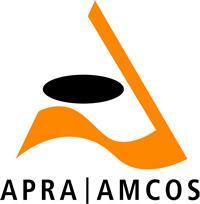 The APRA Professional Development Awards (PDAs) are presented biennially to the shining lights of the New Zealand songwriting industry. Grants are awarded in three compositional categories –Pop/Contemporary, Film & Television and Classical, with each recipient receiving $12,000 towards their professional development plan. In order to determine the three recipients an anonymous panel assesses all applications, assessing both the individual as well as their professional development plan. The judges from this year all commented on the high standard of applications, saying of the recipients “The three recipients are all one song or composition away from the world”. This year’s Professional Development plans include an orchestral composition workshop at New York University, an eight month composition diploma in Italy and working with three of the USA’s most influential rock songwriters and producers. “Each of these composers presented world class plans to develop their musical career. They each possess enormous potential and APRA is proud to be able to support them” says APRA’s Director of NZ Operations, Anthony Healey. 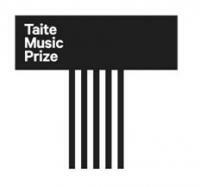 IMNZ is proud to announce a new award to be presented at this year’s Taite Music Prize 2013 event. The ceremony is to include the Independent Music NZ Classic Record, which is a new award that aims to acknowledge New Zealand’s rich history of making fine albums that continue to inspire us and that also define who we are. The panel to determine the recipient of this new award was made up of a broad section of music media/industry specialists, who have given the nod in 2013 to The Gordons – Gordons album as one of NZ’s classic records. The award is scheduled to be presented by Shayne Carter and will be accepted by band member John Halvorsen. What makes a great music festival? It’s the magical mix of tribes that come together – music fans united, a line-up of superstar acts and must-see newcomers, art, culture, performance, entertainment and a sense of celebration. We had been bringing the Big Day Out to New Zealand for 18 years. When it hit its straps, there was no denying it was a great music festival. And no denying we all missed it in 2013. “We strongly felt that there was real desire for the event to return to Auckland,” says Auckland BDO promoter Campbell Smith. CLASH Boutique is an NZ owned street wear store that is leading the way for the rise of kiwi fashion videography with the recent release of their own promotional fashion video featuring prominent NZ musicians and talent. Fashion videography is a relatively recent trend – an exciting development in the ever changing face of fashion imagery that is one part music video, one part short film, and one part moving editorial. It is an exciting and interactive way for brands to connect with their target audiences and communicate their aesthetics, ethos, and seasonal looks in a medium that transcends the limitations of still imagery. Here's to 12 years of producing, promoting and championing Aotearoa's creative culture and here's to many more! The new Loop.co.nz houses 12 years of proud creative kiwi content production with media rich archives. It provides a vehicle to look back on a label and media company that has been part of the paradigm shift in New Zealand music, film and art. Loop.co.nz archives Loop's past and fuels Loop's future with a minimalistic design that lets the content do the talking while being retina display friendly and responsive. Christoph El Truento is a 24 year old from Auckland, New Zealand, and the first producer/beatmaker to secure NZ On Air Wildcard Making Tracks funding from theaudience.co.nz. Joining theaudience.co.nz via the music site’s Discover feature, curator Martyn Pepperell championed Christoph El Truento’s track ‘G a l a x y’, and it wasn’t long before many others were too. After a very tight race between the Top 3 artists, Christoph El Truento finished the March chart month at #1, with Gainsford and Chess Countess close behind. Under the Radar is an indie music magazine that releases five issues a year and is distributed throughout North America, Europe and elsewhere. Waiting Room by Raglan based indie-pop singer-songwriter Little Lapin features alongside indie acts such as Suede, Local Natives, Girls Names and Ex Cops. The last digital sampler was downloaded more than 40,000+ times while only being on the shelf for five weeks. Waiting Room is a song that deals with the frustrations of the daily grind and the struggle of being a creative soul trapped in the mundane. 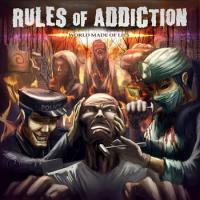 Produced by Ben King (Goldenhorse, Grand Rapids) this reverb saturated track possesses a melancholy yet uplifting tone. 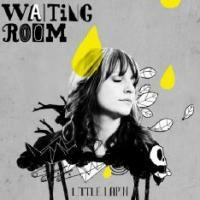 Little Lapin will be releasing her six track EP in June/July of this year. Thanks Amanda for these incredible photos of this years Classic Hits Winery Tour. The next muzic.net.nz newsletter is going out on Sunday 28 April! Muzic.net.nz newsletters are currently sent out to over 8080 members! The next muzic.net.nz gig mail out is going out on Sunday 21 April.